The band line up was finalised in 2009 and after an intensive period of rehearsals started to play local gigs where they quickly realised that there was a huge demand for well-played Floyd music. 2010 saw them receiving invitations to perform at various music festivals including the well known BMAD Bike and Music Festival on Paignton sea front and the band also headlined the three day StarFest in Cambridge. In 2011 The Darkside of Pink Floyd became the first band to give a public performance inside the show caves at Kents Cavern, which is recognised as one of the most important palaeolithic sites in Europe. The atmosphere inside the caves lent itself perfectly to an evening of evocative music and stunning lighting displays. Pure magic. 2012 saw them evolve into a highly professional and well respected touring band. They were also nominated as Best Tribute Act in the South West Music Awards. 2013 saw the band “come-of-age” – they performed to a packed-house on the main stage at Glastonbudget in May, the World’s biggest tribute band festival. 2014 was busy with Headline slots at plenty of Festivals, and the band rehearsed new material to bring into the set. This gave them well over three hours of classic Floyd songs to choose from. The light show was also upgraded with a new, larger circular video screen incorporated and a new promo pack was prepared for agents and larger theatres. All still very exciting. 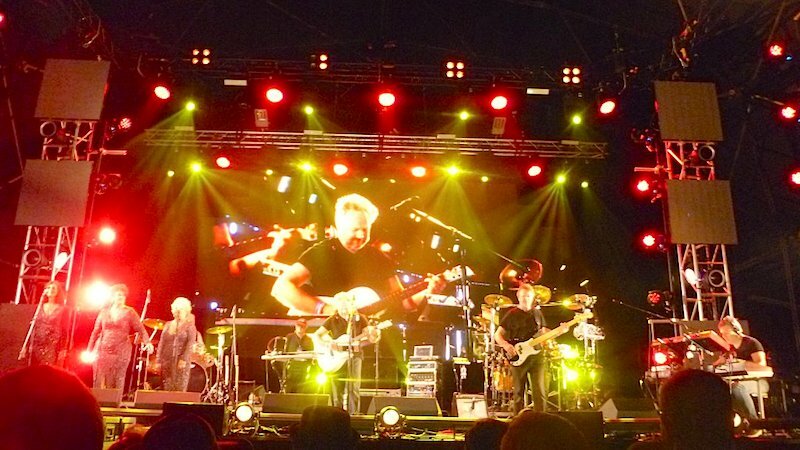 2015 had the band venturing out to a wider audience with theatre bookings being made. A third visit to the major Glastonbudget Festival, together with an amazing underground event at Carnglaze Caverns took place in May. 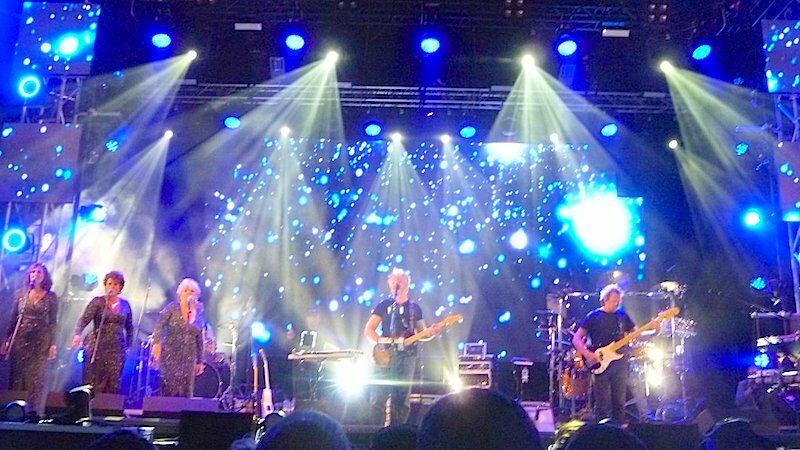 Tour dates were included for ‘double-header’ concerts with top Fleetwood Mac tribute, Tango in the Night – these were highly successful. Moving on . . . 2016 – 2018 have been incredible years. The band have now developed a full-on stage Show and have also incorporated more technical improvements along the way. The new light show was completely automated to run perfectly in-time with the music and video sequences; this has made a huge difference and added coherence to the show. The Darkside of Pink Floyd also headlined the Saturday Main Stage at Glastonbudget, putting on an incredible performance to over 15,000 happy festival souls. Sell-out shows have been the norm during 2018. And now, 2019 has arrived with new venues being booked in all the time. The band are also performing in venues further afield and have now truly become one of the UK’s best touring tribute acts.